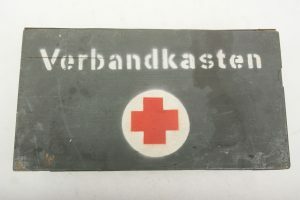 Later in the war the German vehicle first aid kit or “Verbandkasten” was made out of wood in stead of steel. Most of these don’t have a label on the inside and are executed in field gray paint. 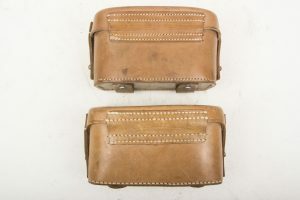 This one is in very good condition with over 90% of the period paint remaining. The spray painted letters on the front are very aesthetically pleasing and would nicely compliment a medical display! Rare to find complete Wundzettel book. 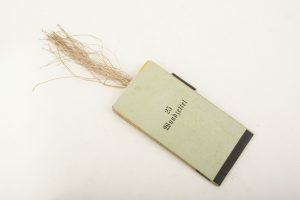 These paper tags where to be worn on the uniform when wounded. Hard to find in complete condition, this booklet is a important part of the Sanitäter equipment!